Canadian TV is Dying. Does Animation Know it? Over the last year, Rogers and Shaw, the two largest cable TV suppliers in Canada, have lost a total of 200,000 subscribers. That has enormous repercussions for TV producers, including animation studios. YTV is one of the major outlets for Canadian TV animation. It is part of the basic cable package, which means that everyone who has cable TV in Canada automatically receives YTV. YTV receives money for each cable TV subscriber, and it has lost the fee from 200,000 people in the last year. In addition, it earns money from advertising and its ratings must have suffered by some amount, as some of those 200,000 people must have watched YTV. Teletoon is part of a cable bundle, but surely some of those 200,000 people were paying for Teletoon. As Teletoon also sells advertising, the smaller audience has cost Teletoon income on two fronts. Bell Media is creating its own streaming service. What are the repercussions for Canadian animation? It means that broadcasters such as YTV, Teletoon, and Family Channel will have less money to spend on new programming. Either they will buy less or buy the same amount but provide less money for each. Either way, the TV market for Canadian animation is going to get tougher. The future is online and the cable companies know it. The animation studios that grasp this are the ones most likely to survive. 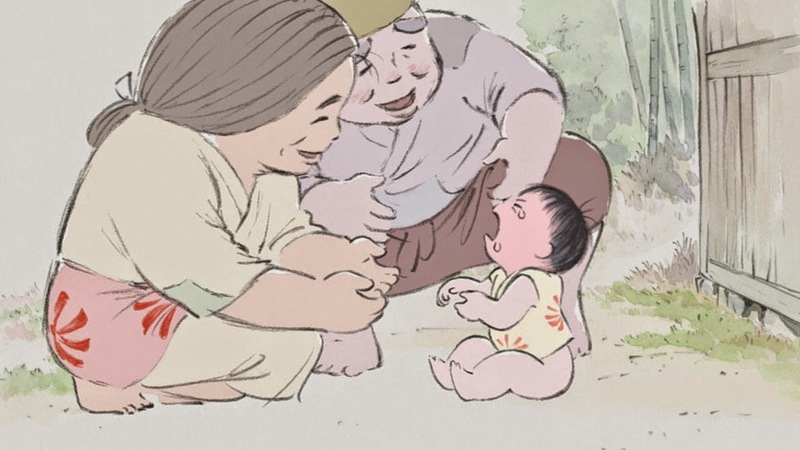 Isao Takahata's The Tale of Princess Kaguya is a thematically rich and artistically beautiful film. As it may be the director's final feature and the last feature to come from Studio Ghibli, the studio exits on a high note. This film and Miyazaki's The Wind Rises are both landmark films that challenge accepted notions of what an animated film should be. Only time will tell if they serve as inspiration for other artists or remain outliers. 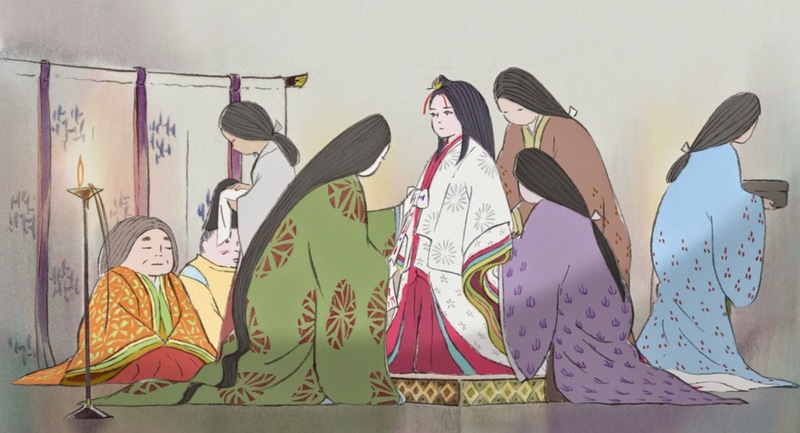 It is impossible to talk about Princess Kaguya without discussing key story points below. A poor bamboo cutter discovers a child within a tree. She grows unnaturally fast. The bamboo cutter later discovers gold and fine fabrics in a similar manner and takes it to mean that heaven wishes the girl to be brought up as a princess. His wife is obedient to his wishes, but more sensitive to the child than he is. The child revels in living in the woods, playing with other poor children and being surrounded by nature. However, her father and mother move her to the capital, where she may no longer act as she likes but must conform to society's expectations for a young woman of nobility. She respects the wishes of her parents, but as she gets increasingly immersed in the society's ways, she becomes more unhappy. She is desired by high status suitors, including the king. She is able, by her wits and some magic to elude marriage. She seeks to escape back to her childhood environment, but the world has moved on and she realizes that her chance for happiness is over. She is called back to heaven against her will, regretting missed opportunities and sad at what she must leave behind. Her father finally realizes his mistake as he loses her. The central question of the film is what constitutes happiness. For the bamboo cutter, it is being able to give his child what society says are advantages. For her suitors, it is taking a special wife to add to their status. For the princess, it is obeying her parents. All of them are wrong. The bamboo cutter learns that the advantages he has showered on the princess have gone against her nature. The suitors are unable to keep their pledges to the princess in order to win her hand. Two face embarrassment, one the loss of wealth, one the loss of his illusions, and two have their lives endangered, all for a woman whose face they have never seen. The princess learns that the natural world is superior to life in the capital and that acting according to her own wishes is more satisfying than obedience to her parents, especially when the result is to reduce her to a mere ornament. All of these characters are burdened with regrets due to poor choices and paths not taken. When heaven comes to reclaim the princess, a clear metaphor for death, there is much pain for the characters who can no longer avoid acknowledging their mistakes. Social class is a great divider in this film. When the princess and her mother spend time in the mansion kitchen and garden as an escape from the rigid behaviour expected of them, the father cannot understand why. When the princess journeys to the countryside to see the cherry blossoms, a young child, as excited by the sight as she is, bumps into her. Instead of them being able to share their happiness, the child is snatched away by its mother, who prostrates herself in front of the princess and begs forgiveness. Sharing joy is forbidden across class lines. When one of the princess's childhood friends is caught stealing a chicken, he is brutally beaten, but when one of her suitors fails to pay some artisans, he escapes without punishment. The characters in this film don't understand where happiness lies. Society has created divisions and rules that stifle people while claiming to exalt them. Nature is more beautiful than anything people have created, yet people choose to leave nature behind. People are blind to each others' needs. Awareness comes only in retrospect, when it is too late to correct poor choices. In short, the characters are fully human, doing what they think is best but unable to see their mistakes. The artwork, especially for the scenes in the countryside, is exquisite. 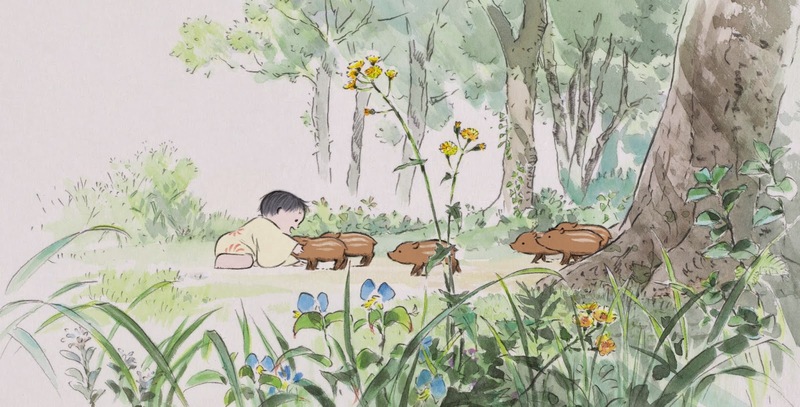 The animation varies somewhat; early scenes with the bamboo cutter and the children seem to be the strongest overall, but Takahata's direction is capable of getting dramatic impact from minimal movement in some later scenes. The softness of the linework and the watercolour backgrounds are refreshing after so many years of computer animation. 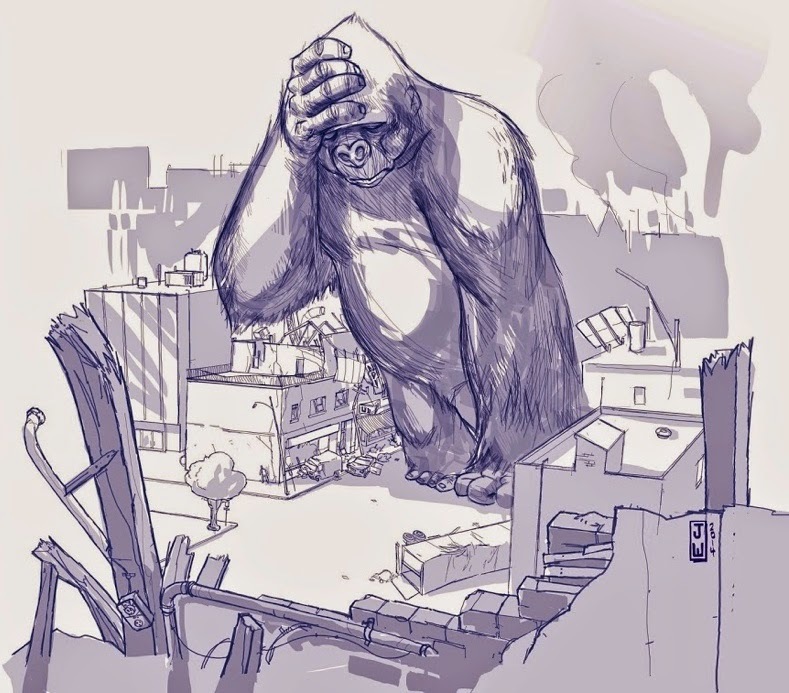 The hands of the artists are visible everywhere, not just in the pre-production artwork. The Tale of Princess Kaguya, like The Wind Rises, is more dramatically sophisticated than animated films made for North America. The willingness to embrace characters who are flawed and to acknowledge the existence of tragedy separates these films from the feelgood fantasies churned out by Hollywood. The term "family film" really means "we won't do anything to upset your children." By limiting itself to this genre, North American feature animation has neutered itself, spending fortunes to divert audiences from real life instead of helping to illuminate it. I am deeply grateful for Studio Ghibli's existence. While the level of craft in their films doesn't always conform to what North American audiences expect, the intelligence in them surpasses anything animated that Hollywood offers. Ghibli's films, in particular The Wind Rises and The Tale of Princess Kaguya, set a standard that Hollywood will most likely ignore. But if feature animation has a future beyond amusing parents while babysitting their children, it doesn't have to look any further than what Miyazaki and Takahata have accomplished. Nina Paley, the creator of the animated feature Sita Sings the Blues, has released another segment from her current production Seder Masochism. Music is by The Duke of Uke and His Novelty Orchestra with sound effects by Greg Sextro. I teach animation to students in the second year of a four year program. They are just getting beyond bouncing balls and flour sacks and beginning to engage with human movement. This year, I'm noticing that more students are shooting live action reference for their assignments. Live action has its uses, but it's critical that an animator knows what he or she is looking at. Live action has to be analyzed to understand how the movement communicates to an audience. 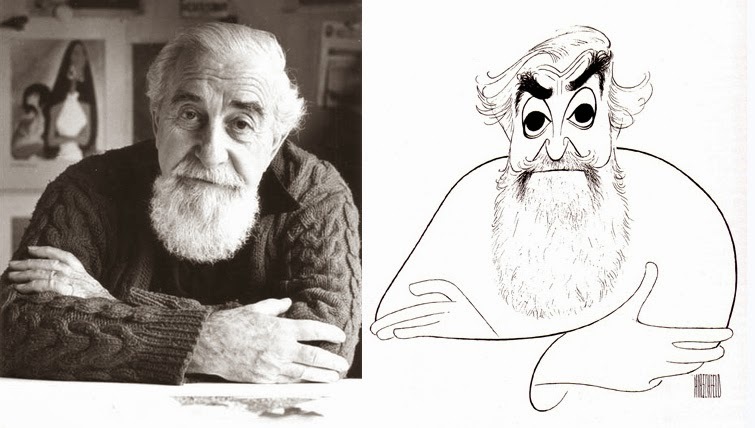 The skill of caricature is to see past unnecessary detail to the underlying shapes of a face. It is the process of analyzing and editing. What is essential to a likeness and what is not? This same process is at the core of life drawing. Someone looking at a posed model is using knowledge of anatomy, perspective, composition and design to reduce a three dimensional figure to a two dimensional representation. What detail is necessary to communicate the gesture and what can be ignored? An untrained artist can trace a photograph of the same pose and while it may superficially resemble the figure, the lack of underlying knowledge will be obvious. There is no analysis or editing, there is only imitation. Human movement communicates. From infancy, we develop the skill to read body language and facial expressions in order to understand what is happening in another human mind. Because we do this intuitively, we are not aware of the analysis we are doing. We don't consciously realize that some movements and expressions communicate more than others, the same way that some facial detail defines a person's appearance more in a caricature. Using live reference without understanding how the body uses weight, balance, momentum and time is useless. Using live reference before knowing what movements communicate and what movements can be ignored leads to a result no better than tracing a photograph and calling it a life drawing. Analysis and editing are essential. Exaggerating what's left after you have eliminated the unnecessary makes the communication more vivid for an audience. We see people moving every day. Acting is a heightened version of daily movement; it's a way of communicating thoughts and emotions more directly than we see in normal life. Live action reference can suggest things to a knowledgeable animator; it can help the animator analyze how a movement communicates. But without the underlying knowledge, an animator cannot discriminate between what helps an audience understand and what distracts from understanding. There is a difference between imitation and communication. Until a student understands this, live action reference is simply a faster way to imitate human movement. If the movement is no more insightful than what we see in life, animating it is unnecessary. What we want is movement that communicates more precisely than real life. The Boxtrolls is a visually elaborate fantasy that is built on an extremely weak foundation. While the art direction, cinematography and animation are excellent, the story is deeply flawed and the direction isn't able to overcome the holes in the story. There are spoilers coming, so be warned. The town of Cheesebridge has a class system indicated by the colour of a person's hat. While the hat is hardly a great idea, I'll let it go as it's a convenient way of visually establishing status. The problem is that a class system only has dramatic weight when it's clear how low status affects a person's life; the lower class needs to be treated poorly by the upper class in order to motivate the film's villain. What do we see as the difference between classes besides the colour of hats? The privilege of tasting cheese. I have not read the source book, Here Be Monsters by Alan Snow, but even if this idea is from the book, it is flimsy at best and too reminiscent of Wallace and Gromit. The boxtrolls themselves are also unmotivated. They eat bugs, so their physical survival is guaranteed from a nutrition standpoint. But they spend the nights foraging in people's trash bins for various mechanical bits. Why? 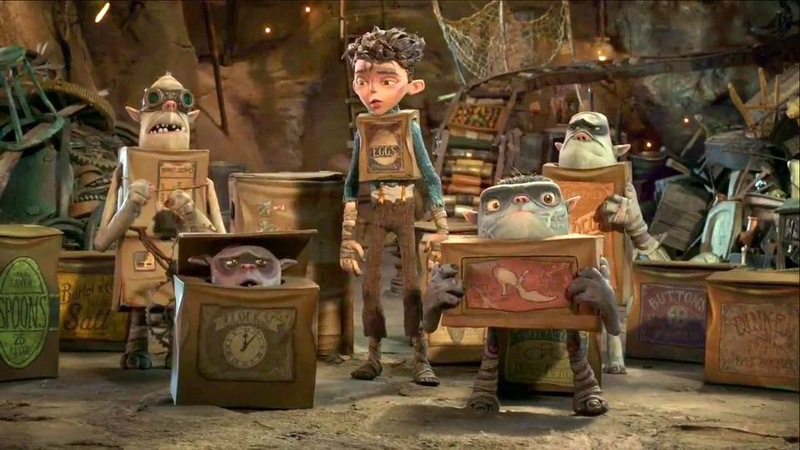 While their home cavern is full of mechanical doodads, they don't seem essential to the boxtrolls' existence. If this is what they do, why not make it necessary for their way of life? While fantasies require a leap of faith, it still helps to be as consistent as possible within the rules of the world. Unfortunately, the film falls short here as well. Why would the boy raised by the boxtrolls speak a human language instead of theirs when he has no contact with humans? The boxtrolls are naked beneath their boxes. Why is the boy wearing clothes and a too-small box? The villain has a food allergy that causes his face to swell to grotesque proportions. How could he not be aware of this when it happens repeatedly? The villain's plan to demonize the boxtrolls and then eliminate them seems enormously complicated and takes a decade to enact. Surely, there had to be a better and faster way to raise himself into the upper class. Why should the townspeople believe that he's destroyed all the boxtrolls just because he dumps a pile of crushed boxes in front of them? If they do believe it, why is it necessary for the villain to kill the last boxtroll in public? Why does the villain need the large machine he rides in for the climax? What motivates the villain to be a cross dresser? Or is that just a result of Laika being praised for the gay character in Paranorman? With the exception of a girl character, the film has no other females developed to any degree. That includes the boxtrolls, who seem to be asexual. Does a boxstork deliver them? The film ends and ends and ends and ends. Instead of wrapping things up neatly, the film makers don't know when to get off the stage. I have seen all three of Laika's films and this is definitely a step down from Paranorman. While this film has potentially strong themes of class, race and even genocide, it treats them so superficially that they are missed opportunities. The film is visually inventive and, truth be told, the stop motion is so slick it might as well be cgi. But the artists at Laika fell in love too quickly with the visual possibilities of the story without nailing the dramatic backbone. I know that there is a bias against scripts in feature animation. The conventional wisdom says that stories should be drawn, not written. However, there's a lot to be said for working on an outline to structure the story, work out the plot points and clarify the motivations before any designs are done. Drawing is sometimes a distraction; the appeal of a good design can sometimes draw attention away from holes in the story. While all of Laika's films have been visually attractive, they have yet to have a major hit. My limited knowledge of their income leads me to believe that if it wasn't for the Knight millions (or is that billions? ), the studio would have gone bankrupt by now. Laika has a deal for another three features so it isn't going away anytime soon, but I'm sure everyone would be happier if a future film would gross Pixar-like numbers. Without serious attention to their stories, it's never going to happen. Here are 554 couch gags from The Simpsons. Compiled by Nam June Paik. 2014 is the 100th anniversary of Norman McLaren's birth. McLaren was the pioneering experimental animator at the National Film Board of Canada. 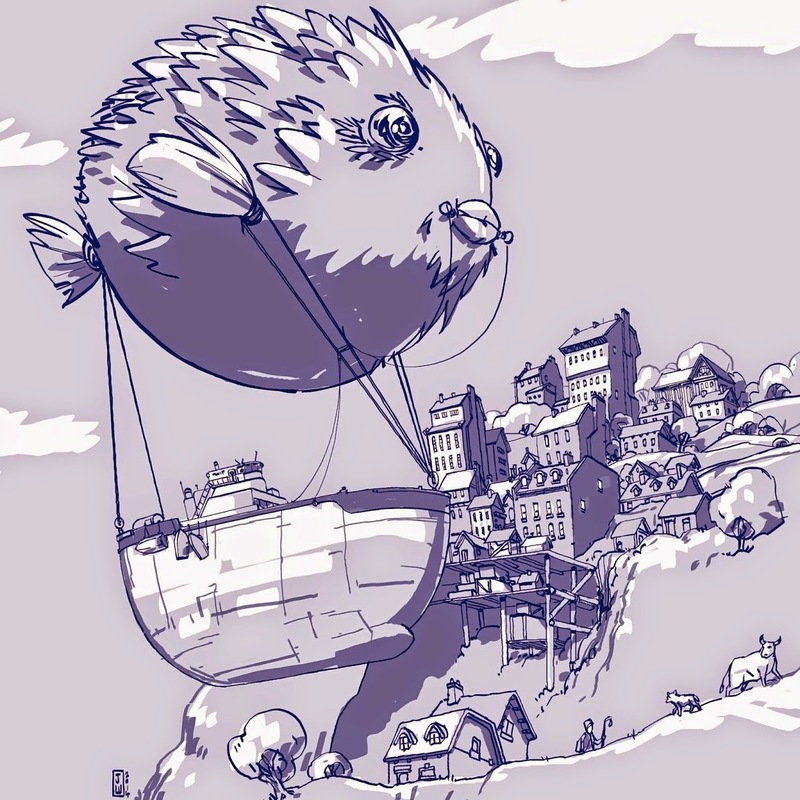 One of the many events to mark the occasion was a documentary on his work created by Amir Avni for TAAFI, the Toronto Animated Arts Festival International, which occurred last June. TAAFI has now put the documentary online and in addition to several McLaren films, it includes interviews with National Film Board alumni who knew McLaren: Kaj Pindal, Gerald Potterton and Bob Verrall. 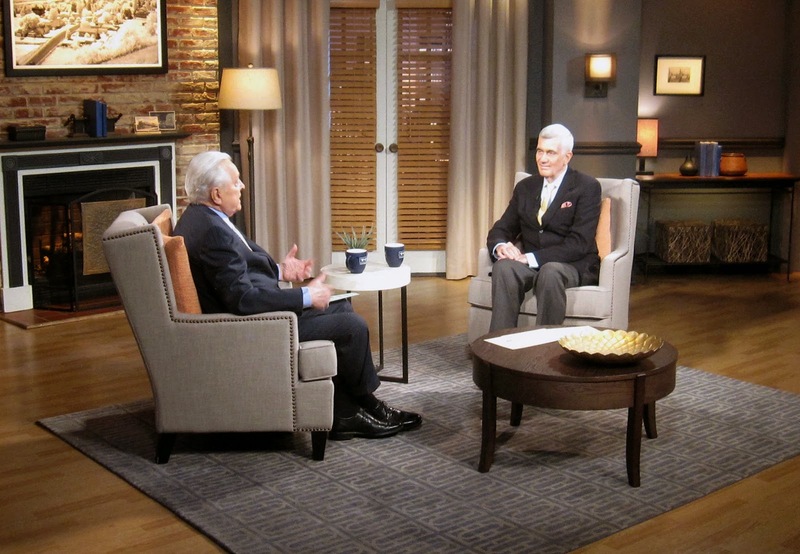 On Monday, October 6, starting at 8 p.m. Eastern time, TCM will be running three specials featuring animation historians John Canemaker, Steve Stanchfield and Tom Stathes. Canemaker will be talking about Winsor McCay, Stanchfield will be talking about the Van Beuren studio and Stathes will be talking about the Bray studio. All three programs focus on animation done in New York and contain many examples. This is the 100th anniversary of McCay's Gertie the Dinosaur as well as the 100th anniversary of the start of the Bray studio. You can read about the Van Beuren cartoons that will be screened here and read about the Bray cartoons here. If you have any interest in animation history or just want to see cartoons that you've never seen before, I highly recommend these programs. Each of these people is an expert in the field. 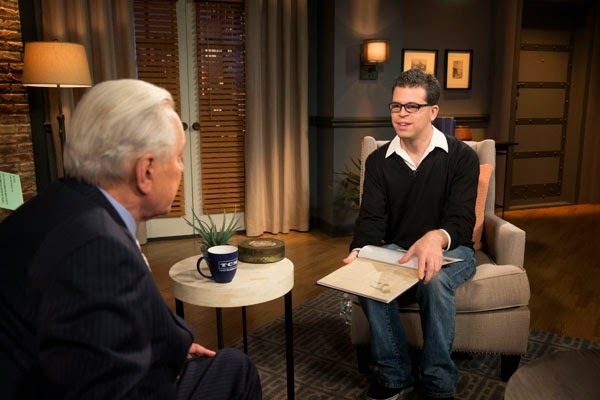 John Canemaker is an Oscar-winning animator and author of many animation related books. His most recent are The Lost Notebook: Herman Schultheiss & the Secrets of Walt Disney's Movie Magic and Magic, Color, Flair: The World of Mary Blair. 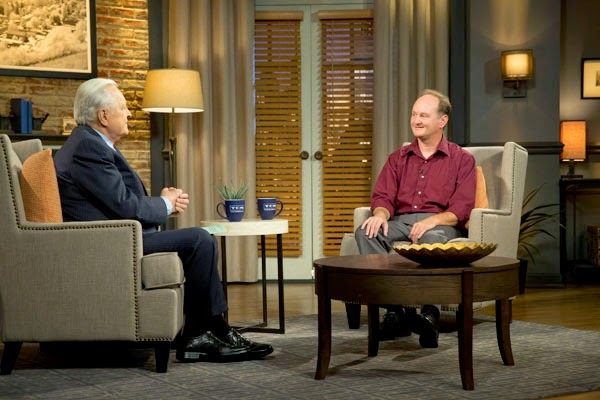 Steve Stanchfield is the proprietor of Thunderbean Animation, a production company that also produces restored DVDs and Blu-rays of classic animation. Tom Stathes runs film screenings in the New York area. Later the same night, TCM will screen Lotte Reineger's The Adventures of Prince Achmed, Max and Dave Fleischer's Gulliver's Travels, Akira Daikubara's Magic Boy, and Chuck Jones' The Phantom Tollbooth. That's ten solid hours of animation. Friend and former co-worker James Wood has a blog where he's showing off work and talking about his evolving process. James is multi-talented, working as both a cgi animator and illustrator, and is developing a graphic novel called The Unspeakable. I've added his blog link to the sidebar, but you might also be interested in his website.